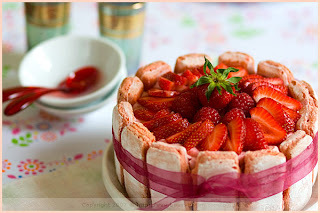 One of the 100 blogs I read daily is from the British Psychological Society and their Research Digest Blog. I encourage you to read through their posts and look for articles on brain studies and human development research. It can help you think about your audience members as varieties of the same machine, the human being. One valuable technique I use is to take a look at child behavior and development studies. Our personality, core learning style and internal attitude setting (are you generally a positive or negative person) is almost matured by the time we are six. These are just a few factors that impact an audience member's ability to get, retain and potentially act upon your content. What do your thoughts reveal about you? Here is a quick example of slides done right. This is for a 45-minute presentation at a luncheon of business professionals. I will include music and table interaction to drill home the points. As always, the slides are visual-heavy, text-light and only offer support for the conversation between the audience and me. 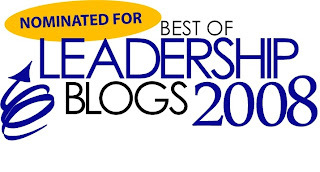 My Personal Leadership Insight blog has been nominated as one of the best leadership blogs from 2008. If you are a reader of the PLI blog, please click here to cast your vote. The voting ends August 1.